Your new premium brand is not Starbucks can it still win? 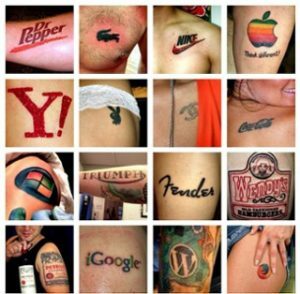 What does that say about brand loyalty? To keep things in perspective about the size of the Starbucks brand, most American consumers buying coffee are NOT buying Starbucks. They are buying Folgers. This could be for a number of reasons. It might be seen as a testament to longevity. It could also be that a large quantity of people don’t view coffee as something for which they want to pay a premium price. 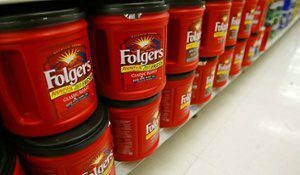 Or, more likely, Folgers is more widely available and usually occupies the majority of the coffee aisle shelf space in most retail stores. It also helps that Folgers is priced to move. But, for a lot of people, Starbucks did the heavy lifting when they educated American consumers on the joys of a cup of premium, dark roasted, richer coffee. At the same time, they singlehandedly raised the price that people expected to pay for a cup of coffee from under a dollar to over $3. That’s great for Starbucks, but your new premium brand is not Starbucks. Now what? Just how loyal are you to your favorite brand? Here is some encouraging news. 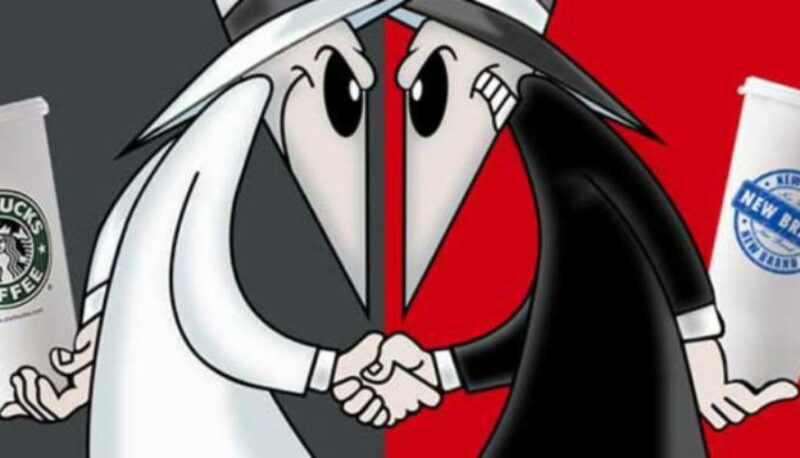 Reports show that only about one quarter of Americans are totally loyal. So, the people that ONLY buy Starbucks could represent a pretty small segment of all the people that buy Starbucks coffee. Which means there is a huge number of people that, although they buy Starbucks frequently, may not buy it all the time. They bounce around similar high-end, premium companies. That’s good news for all brands that are not Starbucks. Once I enjoyed my coffee in a Starbucks Coffee shop watching folks enjoy their coffee in a Starbucks Coffee shop across the street. Premium coffee was once regulated to a few small locally owned coffee shops. 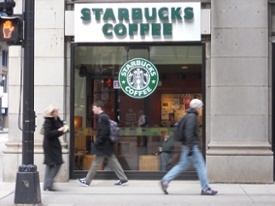 Then Starbucks retail stores began popping up in cities and towns across the country. From expresso, cappuccino and lattés to dark roast, flavored and specialty coffees, people became fluent in the language of coffee. And believe it or not, most of these coffee lovers just want a good, premium coffee. They may care about the company, but they also know good coffee when they taste (and smell) it. Enter your new premium brand coffee. The potential good news is that a new coffee company does not have to convert that person that only buys Starbucks. They need to invite trial of a person in the much larger group that is not strictly loyal to Starbucks. They need the people who appreciate—and are willing to pay for—a good cup of premium coffee. The potential bad news is the gatekeeper between your new premium coffee company and the premium coffee loving consumer. I’m talking about the coffee buyer at the grocery store, supermarket and other retail outlet. This person is your first “customer.” The buyer has to be receptive to your company and have enough proof that it will perform the turns on shelf and sell through needed to justify earning a spot on the shelf next to Starbucks, Eight O’Clock, and a hundred other coffee companies covering the spectrum of quality and price including the reigning heavyweight contender — Folgers. Whether it’s a craft beer, a barbeque sauce, bacon, candy, or new premium brand coffee, NewPoint understands like you do, that it’s a business to business sale before it can be a consumer product. 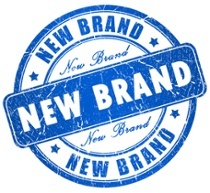 The NewPoint team works with companies looking to launch or grow market share by supporting the management team in product, positioning, sales and developing distribution strategies before we even get to consumer marketing. The good news is, once the homework is done and we have a product ready to compete on the retail shelf, we should be poised to get “placed” by a retail buyer and start to carve out our share of the market. *To make this survey statistically accurate, please ask 3,000 Starbucks cup holding, demographically accurate people non pre-qualifying questions. Food Packaging: What Can The Beer Can Teach Us About Marketing? Will “Local” Still Be Trending When Food Manufacturing Catches On?